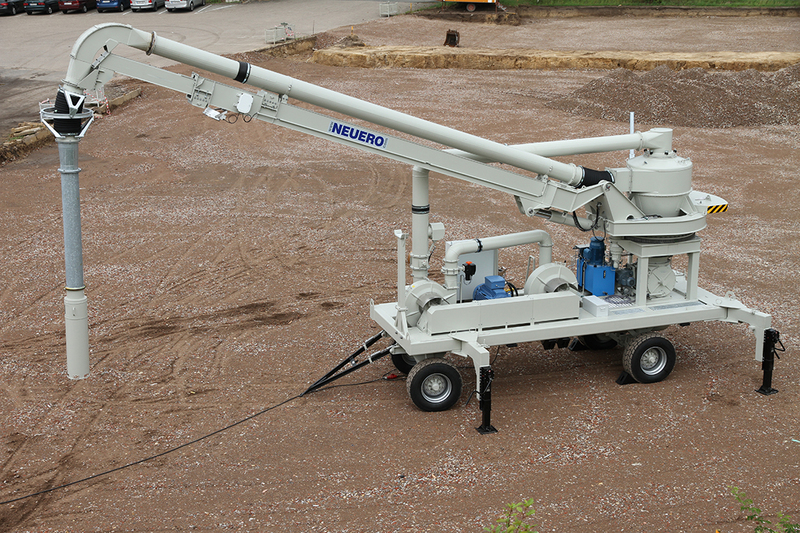 NEUERO Mobile Pneumatic conveyors, type GSD, are designed for suction or suction/pressure conveying of grain. GSD (mobile unloading systems) are used when the available area in the port needs to be shared with other port activities or the ship’s dock changes occasionally. Unloading ships and loading them directly onto trucks or in railway carriages is possible, but also from the ship directly into silos or flat storage. A swivel range of more than 310 ° leads to a larger workspace, so that the GSD (mobile unloading system) can be positioned in the simplest way on all ships. The use of a rotating cyclone allows the GSD 250/280 to reach the maximum capacity in any operating position. Because of the large swivel range, interruptions due to bad weather conditions that require the hatch to be closed are easier and faster to handle.